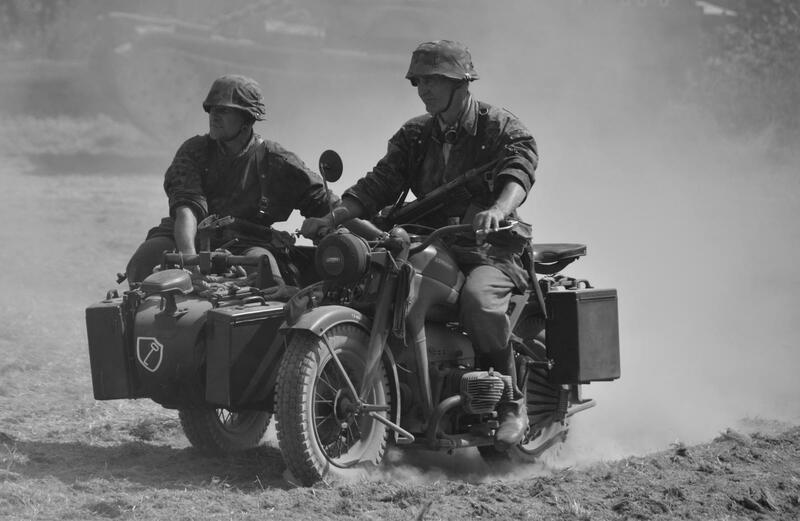 A couple of shots from a very dusty Capel Military Show in southern England. The Sherman crew have deliberately been cropped out for wearing white tee-shirts and in one case, long blonde hair! Not much scale modelling going on while we have an unusually hot and dry summer, but will try and return if I ever get around to finishing anything! I’ll bet it was quite a show…..thanks for sharing the pics. Clive, good stuff, however I would have like to see the Sherman crew in T-shirts and long hair. It would have given that “cruising for babes” look ! Looked like a fun day, thanks for sharing ! Thanks for sharing the pictures, Clive. I can personally attest to the fun the crew in the tank was having. I’ve done “free rides” in uniform and in t-shirt, shorts, & flip-flop sandals. It IS fun, Terry AND I did “cruise for chicks,” so to speak. Two lovelies were photographers in the unit was in and I did take both for a ride (a tank ride 😉 ) and I let them both drive. It was on a weekend, was mostly UN-official and we had a great time! The girls (photographers) were there officially to take pictures of my tank plus the other equipment (data collection, etc.) and I had to be there to unlock the tank so they could photograph the extra equipment and through-sight video that was being used in our testing. Since I was a very responsible E-5 Sergeant, and the photographers were the only other ones needed there (they had to photograph the equipment when the testing was done, rather than stop the testing for pictures) they left it to me to handle the operation on a Saturday. We did one other thing that gets talked about but seldom done: It was August at Ft. Knox, Kentucky and the temps were running VERY hot – 101 deg. F to 103 deg. F – (38.3 deg. C to 39.4 deg. C) so I fried an egg on the fender of the tank! It took about 8-10 minutes but it fried. No, I didn’t eat it since the fender was filthy plus I used 30 weight engine oil so the egg wouldn’t stick to the tank. It really WAS hot enough to fry an egg outside! 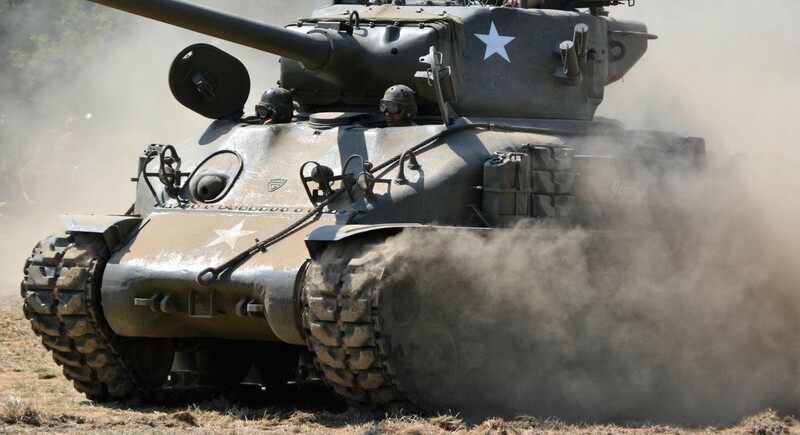 Great memories brought about by the photo of a Sherman charging through the dust. Outstanding!! They could be from Kelly’s Hero’s . Fried an egg on the wing of an Phantom at MCAS Yuma Arizona, don’t remember the temp. it was July. It started to fry, but had to get rid of it before flight ops began.